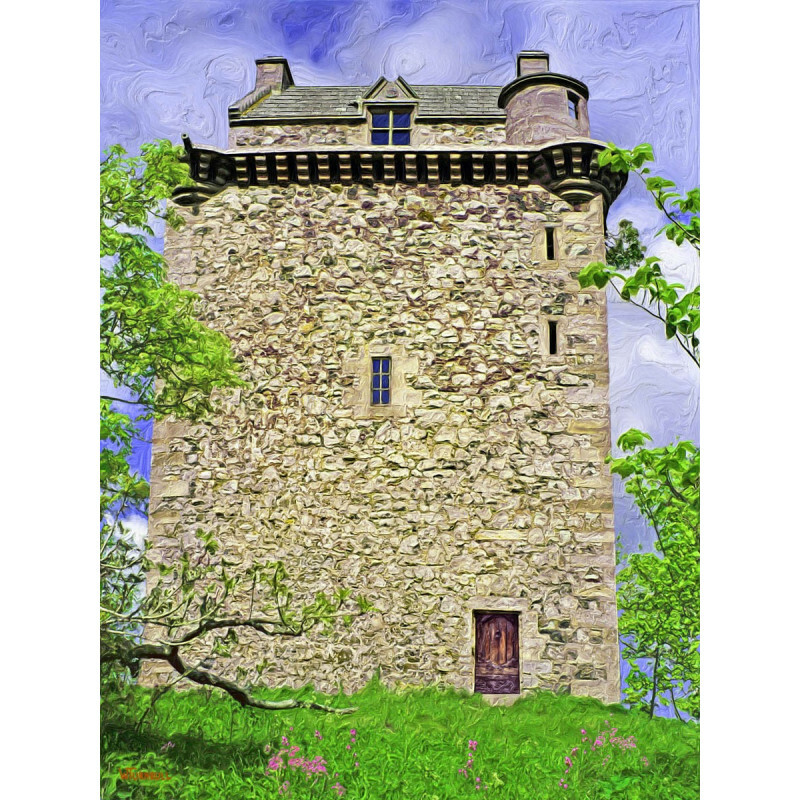 Fatlips Castle by Wally Turnbull Fatlips Tower Castle atop Minto Craigs was one of three Fourteenth Century Turnbull Reiver stronglholds. 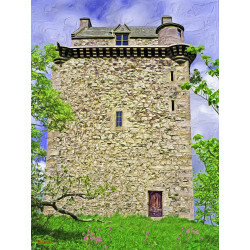 Today this tower remains one of the most picturesque in the Borders. The painting is shipped as a rolled canvas ready to be stretched and framed. Painting is 18"x24" (other sizes by request). Limited edition. 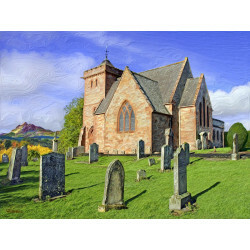 A giclee is an individually produced, high-resolution, high-fidelity, high tech image from a painting created on a computer and printed onto canvas with archival pigments. 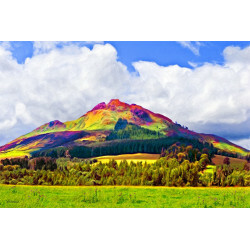 Because many artists now only paint digitally, giclees represent a whole new vibrant medium for art. They are superior to traditional lithography in nearly every way. The colors are brighter, last longer, are high-resolution, and the color range, or "gamut" for giclees is far beyond that of lithography. 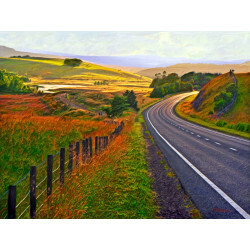 Giclees are originals not reproductions but they are not necessarily one of a kind. The artist decides if an image will be printed only once or produced as a limited edition.